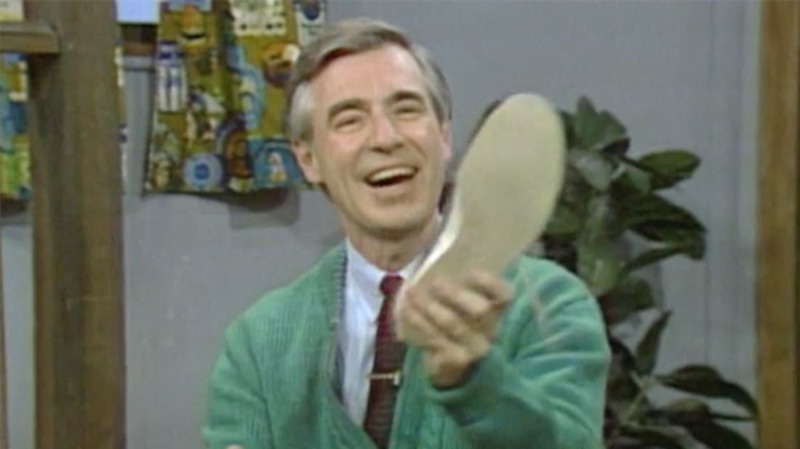 Hello, neighbors: Mister Rogers' Neighborhood is now on Netflix. Unfortunately, it's only 20 episodes, but that's more than nothing. My recommended starting point: Mister Rogers visits the crayon factory (episode 2 in the Netflix collection). Also awesome is his visit with the cast of STOMP! Really, they're all good. If Netflix isn't your thing, and you're an Amazon Prime member, Amazon has 23 seasons online, from 1979 through 2001. Bliss. And finally, if you don't have any of these pay services, PBS Kids has you covered. The video quality isn't great, but it's great for free! For more (non-televised) Mister Rogers excellence, check out: 46 Things I Learned Making Mister Rogers & Me; 20 Gentle Quotations from Mister Rogers; 10 Lovely Quotes From Mister Rogers About Love; 11 Neighborly Facts About the Mister Rogers Christmas Special; and Mister Rogers' Epic 9-Part, 4.5-Hour Interview.